Do you know the cardinal rule of most homeowners? “A good, safe and secure home is the best thing one can have”; there you have it. This saying reminds us that we need to maintain the security of our homes in order to uphold the safety of our treasured possessions as well as the safety of our loved ones. Rekeying is one of the most cost-effective and simple strategies to strengthen you home security system. Rekeying involves calling a locksmith to make changes to the internal workings of your house lock. He or she will reset its internal mechanisms and then make new keys that fit the re-keyed lock. The result is that only the new key will work to unlock the doors, which mean that intruders who possess the old key would not be able to access your house. However, many homeowners do not know for sure when it is the right time to rekey their locks. This article provides the most common events that you should interpret as a signal that alerts you to have the locks to your house rekeyed. Once you get into the new home, you will quickly replace many old things with new ones. Indeed, you will transform everything to suit your unique tastes and needs. This involves doing anything that makes the place what you can truly call a home, including re-furnishing the rooms and repainting walls. But, do you think that you really own the house while you are still using the door locks belonging to the previous owner? You will not feel comfortable when you do not even know who can access these locks. You cannot just ignore the possibility that the family and friend of the previous owner, who are complete strangers to your family, may still possess a spare set of keys. As a result, having your locks rekeyed by a professional is crucial to protect your family and home from unwanted people whenever you buy a new home. Moreover, you may think it is pretty safe in case you have purchased a new building, but think again! It is common for home builders to give out the keys to various parties involved in the final construction process such as the subcontractors, construction workers, and home inspectors. Even at your best, you can still misplace you key; it happen to everyone. But, what measure to you take when you are mysteriously unable to find your key, never to see them again? For many inexperienced homeowners, they just reproduce another key to replace the missing ones. 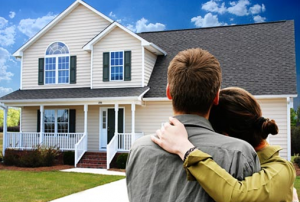 However, if you are a practiced homeowner, you know that this obvious solution is not always the best. You cannot risk a worst-case scenario where a stranger finds your missing key and make use of them. Following this, you will call a locksmith to rekey the locks on all your exterior doors to prevent any chance of theft. Besides, you must ensure that he or she also rekey the gate leading to the garage from your home. Like everything else, home’s keys and locks do not last forever. Over time, the key’s teeth will accumulate rust or wear down, making you struggle when opening its designated lock or even they can stop working completely. You can decide to simply replace the key, but there are chances that the lock has also suffered the same erosion especially if the conditions of your key are purely because of time. It is recommendable for you to have your locks rekeyed at least once after every five years to ensure security against those without the keys and easy access for those with them. 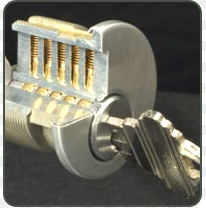 It is a good approach to rekey all locks in your house after falling victim to a home burglary. Taking this necessary step to prevent future invasions will not only provide a sense of security and comfort but also help to lessen the feeling of violation that the first break-in causes. Furthermore, calling a professional locksmith to upgrade your security system at your home will scare any potential intruder, and remind your neighbors to theirs as well. 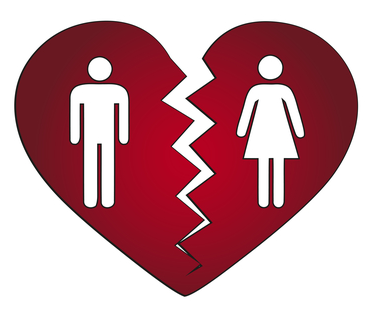 Some break ups are not based on a mutual decision, or the both partners fail to carry out the separation process in a civil manner. Rekeying your locks should be the first business after an event of a bad divorce and separation especially if you both retain rights to a residence that you previously shared. You seriously need to do this, as it is very difficult to predict the human nature, to warrant the safety of both yourself and your home. It is wise to avoid the chance of any encounter with your ex by denying the access to your home when you are not there. If you rent out some rooms in your home, it is important to rekey every time a tenant leave. Knowing that your locks are protected and secure will actually give you the peace of mind. Furthermore, you will eliminate doubt of suspecting your past tenants in case of a break-in. Although the last residents may have turned in their key, you have no guarantee that they never made a backup copy. They may have even given a duplicate of their key to a friend or neighbor in the past. If you let some employees goes, they may feel unhappy to leave your business. Although not every irritated ex-worker will attempt to harm your company, it better to take caution by removing their access to your properties. In such a case, rekey the locks in your business is just a good idea. In conclusion, the above circumstances provide excellent examples of convincing reasons to have your locks rekeyed. Although you might find the decision to rekey your locks to be an inconvenient interruption to your daily activities, you should not ignore the fact that most scenarios need urgent actions. The need to offer your family security should prompt you to escape any risks by rekeying your locks. 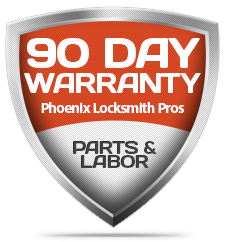 We hope that the above reasons are plenty for you to call Phoenix Locksmith Pros today!